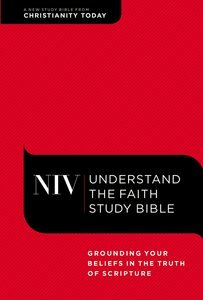 About "NIV Understand the Faith Study Bible Red"
The NIV Understand the Faith Bible provides a deep grounding in Scripture. You will appreciate the way this Bible keeps the joyful, astounding nature of the gospel always in view when addressing doctrine and the pressing questions about faith. Its content will help you understand what you believe and why while inspiring you to live for God.